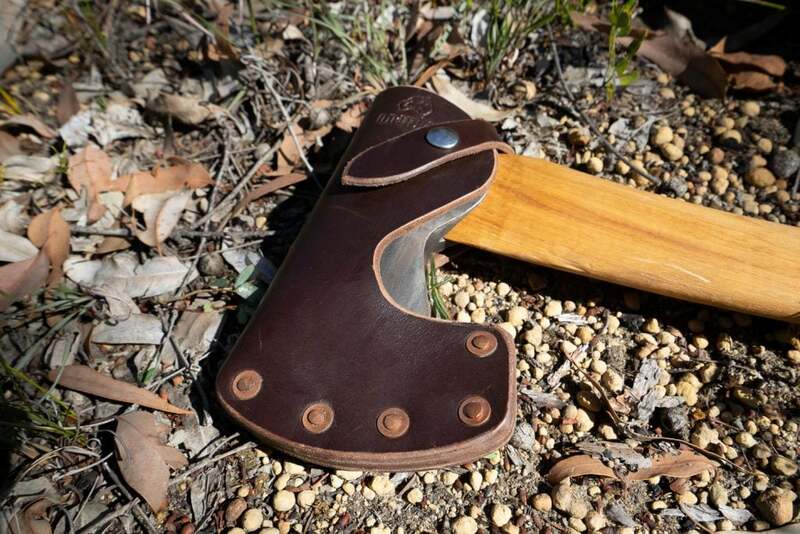 Axes have been a camping staple forever. What’s surprising though is how tricky it can be to decide on a new one. We’ll come to quality shortly, but first we need to pick a size. Here’s where too much choice can make life difficult. 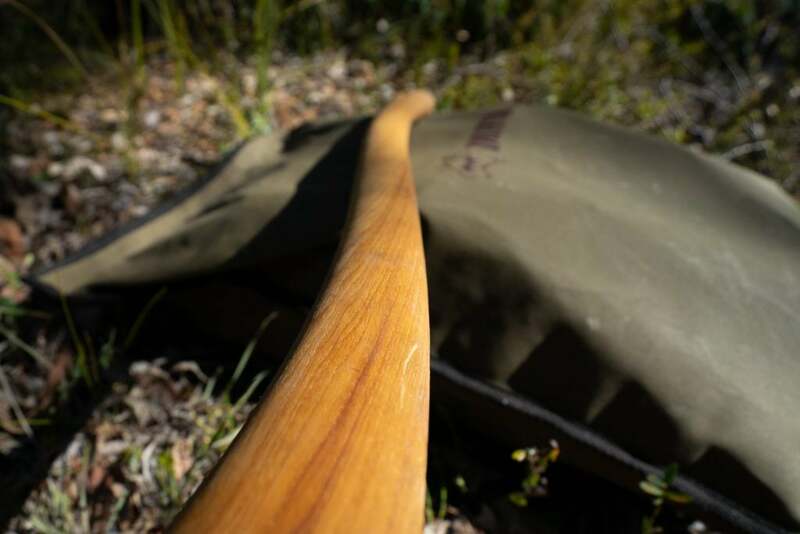 It’s easy enough to acquire a quiver of axes – the perfect tool for every job – however transporting your collection may not be quite so practical. Trying to settle on one axe is certainly tricky, but we’ve found there is a bit of a sweet spot around the 650mm mark. It’s small enough to split kindling, yet just big enough to do heavy work. 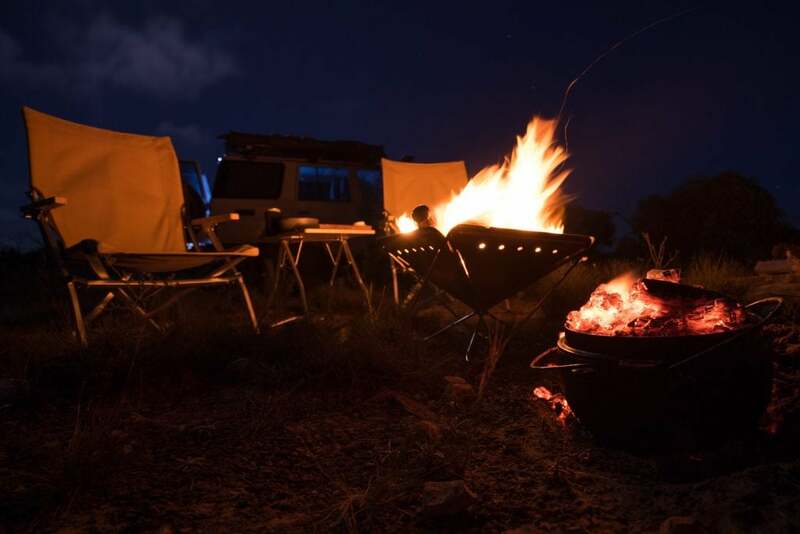 It’s also easy to stow in a 4×4 drawer or canopy. 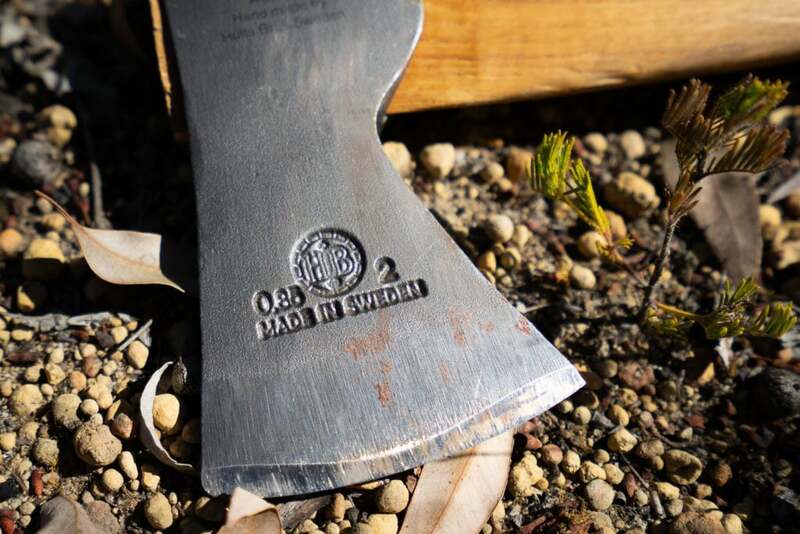 Hultafors forge a full range of axes in Sweden, and they’ve been doing so since 1697! 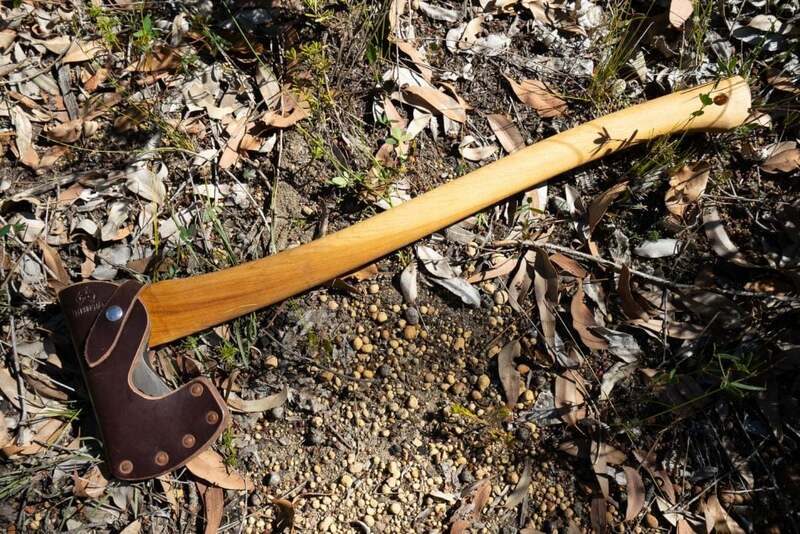 They do felling axes in multiple lengths, this one – you guessed it – is the 650mm. 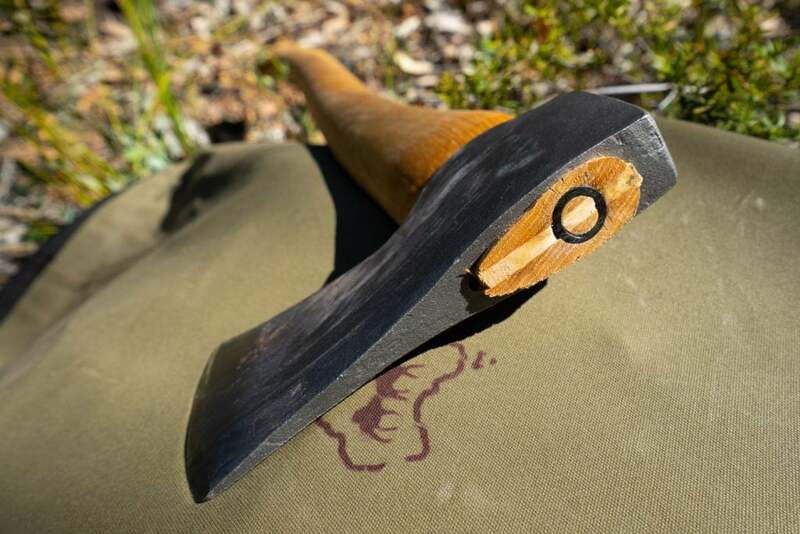 Their axes are hand forged using Swedish steel, and during the process they repeatedly strike the head to increase the density of the steel, and improve the durability of the head. The handle is beautifully shaped from hickory, a timber that is both strong and naturally absorbs the shock from striking blows. A sharp axe head isn’t much good if it doesn’t stay fixed to the handle. You might think this is a simple process, perhaps it is, yet it’s one process that many entry level makers seem yet to master. The team at DRIFTA import these axes into Australia as a raw finish. It’s then over to Kaito (the son of DRIFTA’s owner Luke) who finishes the axes after school. We saw Kaito’s setup when visiting their HQ last year. He has an amazing custom jig for precision blade sharpening. Next to that he finishes the hickory with stunning Western Australian Gilly Stephenson’s Orange Oil. Kaito also makes incredibly solid sheaths from 3mm Australian cow hide, which he finishes in Gilly Stephenson’s Leather Care. 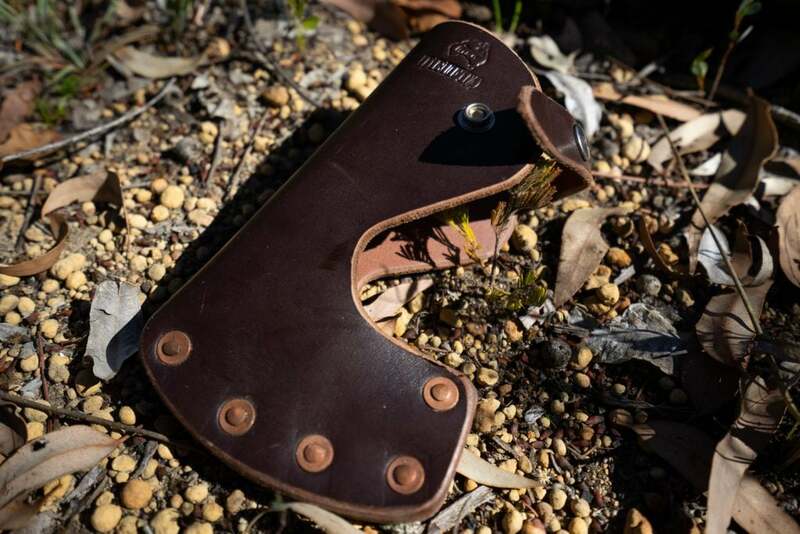 The sheath is a key part of keeping your axe head both sharp and dry – we’ll talk more about axe care another time. 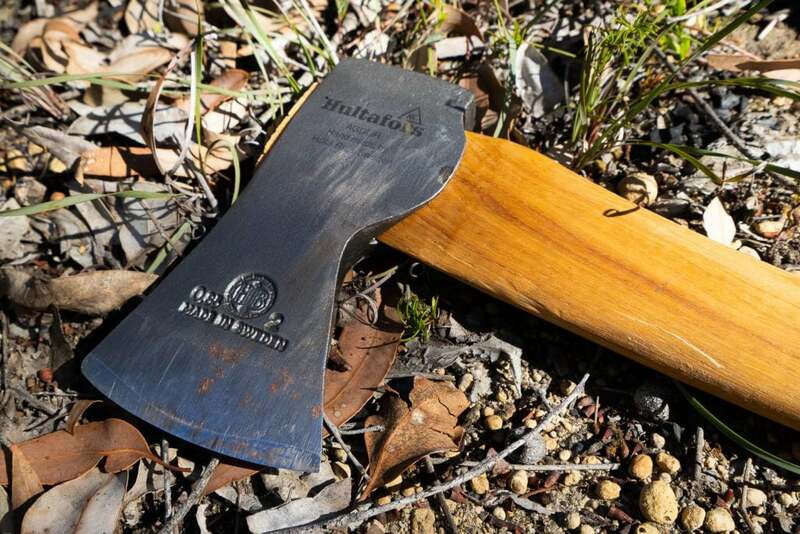 DRIFTA offer a range of axes, and the Hultafors Felling Axe comes with a sheath or in a kit with leather care and oil.